Nintendo confirmed that tomorrow's Nintendo Direct event will reveal final launch details for the Wii U, including the system's price and release date. The company's Japanese twitter account promoted the event today saying, "Good evening, this is Iwata of Nintendo. Tomorrow, Wednesday September 13th, we will broadcast an online presentation about the Wii U's launch from 4 p.m. onwards. We will announce details such as the console's price and release date." While many expect Nintendo to announce games for the system's launch lineup tomorrow, the company has a history of waiting to announce launch titles until closer to the release date. Nintendo will more likely reveal games for the system's launch window, which may extend through the end of the year. Three Nintendo Direct events will be held tomorrow across the globe and there will be a live stream through Nintendo's official website. The Japanese announcement will take place at 4 p.m. in Japan, or 3 a.m. EST. Events are also scheduled for North America and Europe, which will begin at 10 a.m. EST, or 4 p.m. CET. 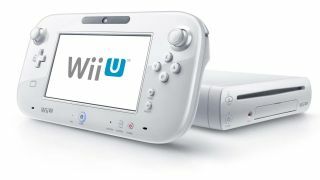 Rumors have been rampant about the Wii U's price and release date, with the most recent leaks suggesting. Nov 11 with three SKUs priced at $249, $299 and $349 (£156, £188 and £219 respectively). The other date thrown around as a possibility is Nov. 18. A release much later than that could be a big issue for Nintendo, since it would miss Black Friday on Nov. 23, the busiest shopping day of the year. While waiting for Nintendo's launch announcements tomorrow, catch up on everything we know about the Wii U so far.